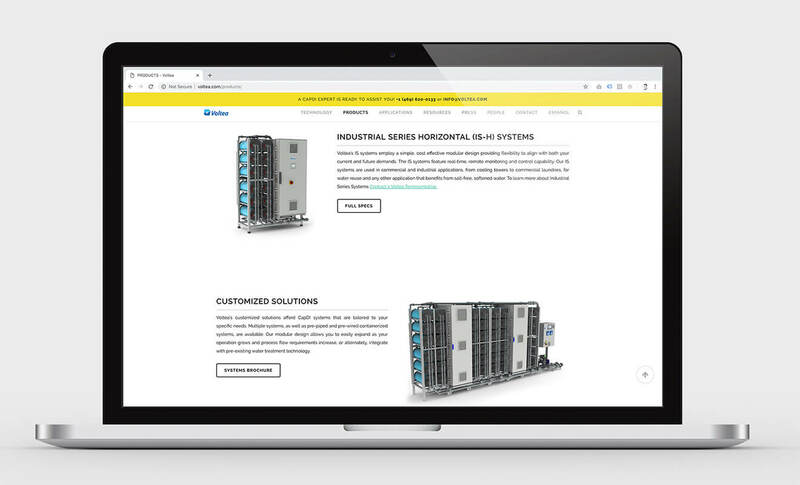 Making waves in the water industry. Water is the most important and critical resource on earth. 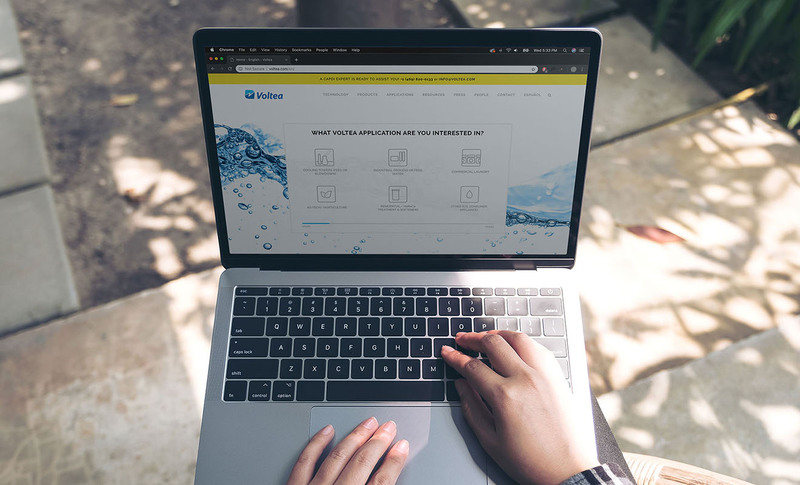 Based in the Netherlands, Voltea is a game-changing company improving accessibility to clean, low-cost water for people, the environment, and business. 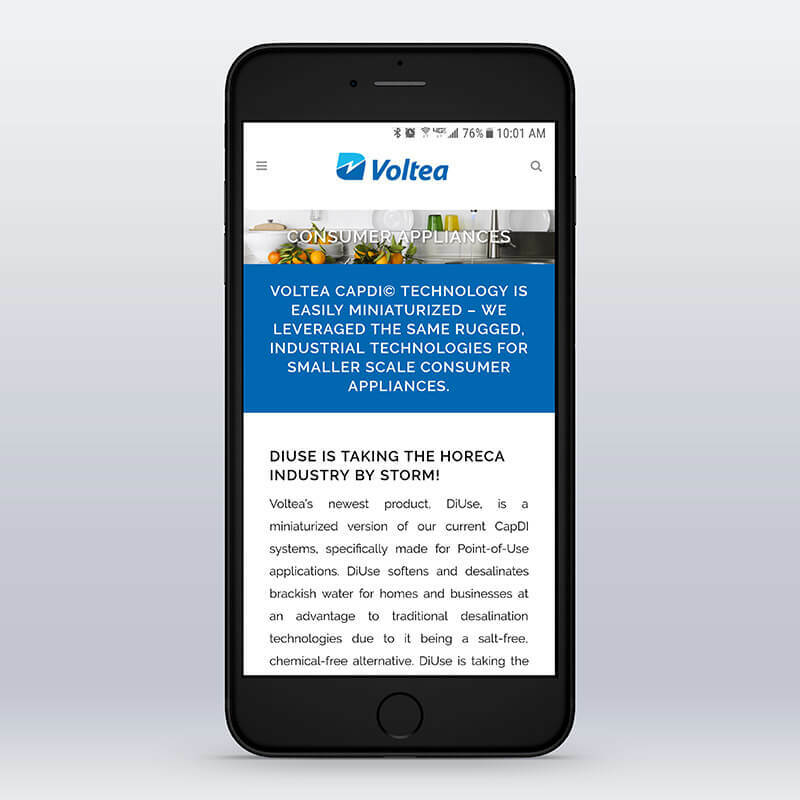 Equipped with a portfolio of award-winning technology, customizable capabilities, and scalable solutions serving a broad spectrum of markets, Voltea turned to Domoto Brands to help them communicate their story, showcase their products, and enable customers to select ideal solutions for their needs. 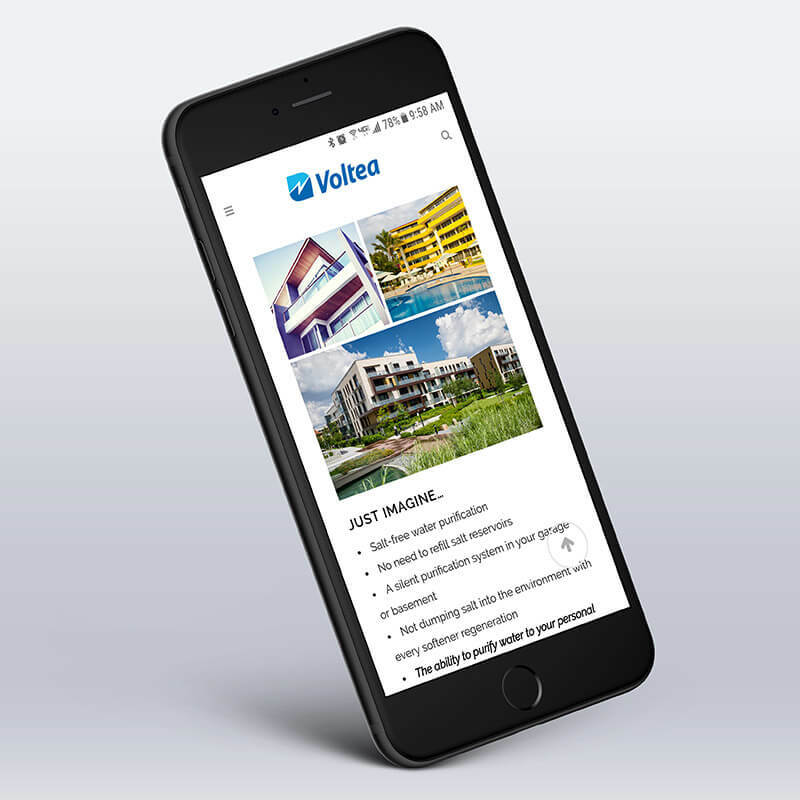 Images of water provide a visual motif for the site while responsive functionality, bilingual capabilities, dynamic data visualizations, and application-specific content effectively present Voltea’s innovative deionization technology. 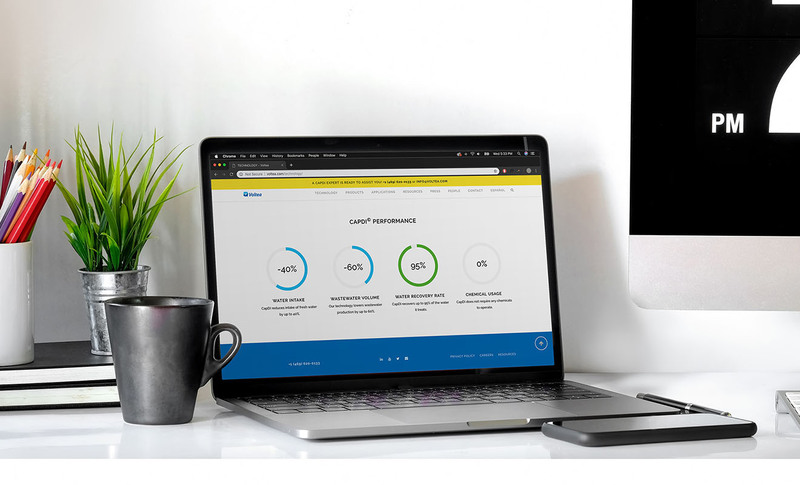 The Domoto team embarked on a discovery mission to understand the company’s motivating factors, target markets, value proposition, and technological benefits in order to facilitate an intuitive website user experience. 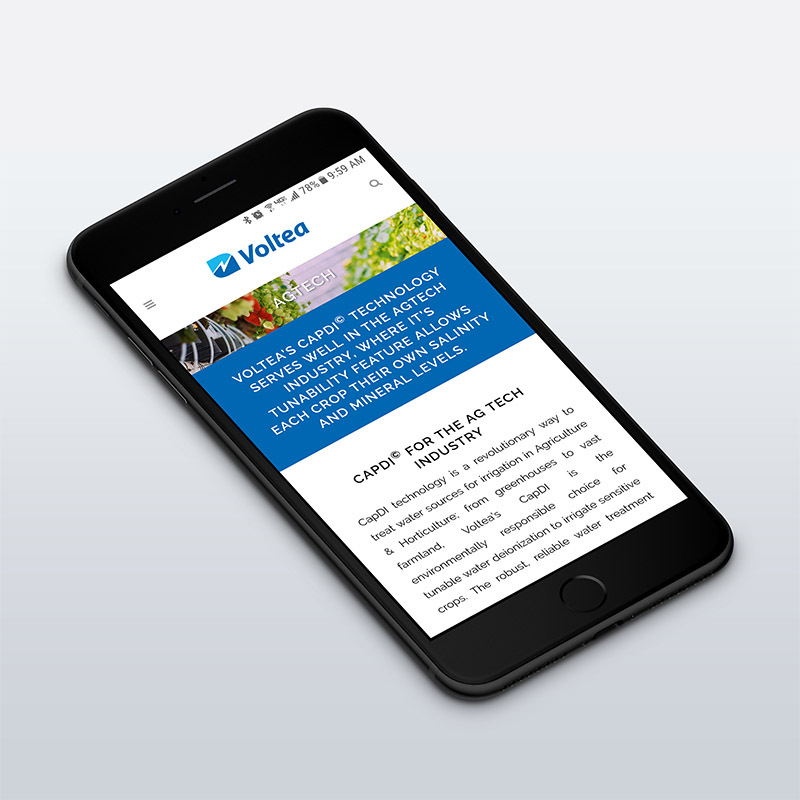 The responsive features of the website ensure that content can be accessed on tablets and mobile devices, providing in-the-field and on-location availability of online information. 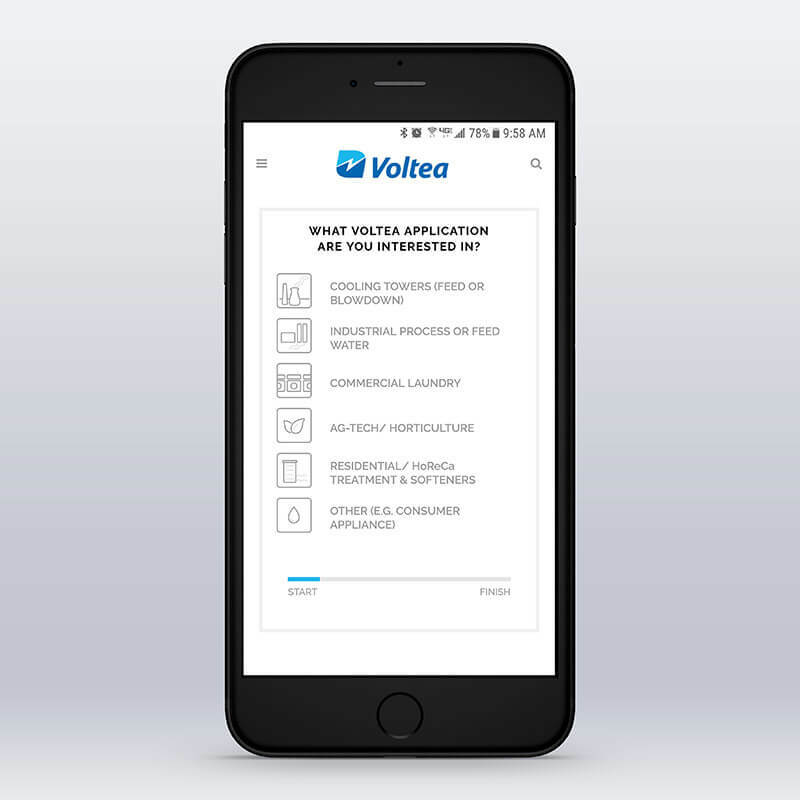 Users have the ability to toggle between English and Spanish quickly and easily. 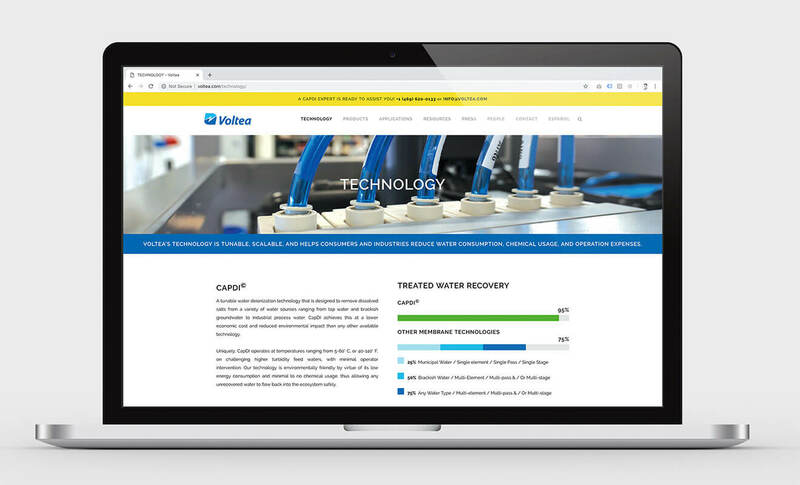 Ultimately, Voltea now has a website befitting the bright future the company has created for itself, as well as a valuable tool that allows stakeholders to better understand why Voltea has changed the way we use water.